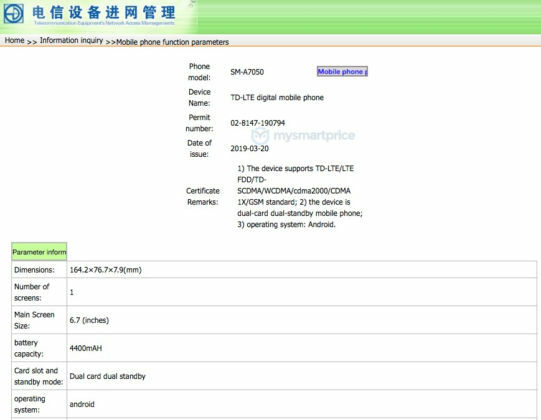 Ahead of the debut of the new Galaxy A-series smartphones in April 10, the upcoming Samsung Galaxy A60 and Galaxy A70 have been certified by TENAA in China. Under the name Samsung Galaxy SM-A6060, the Galaxy A60 is listed to have a 6.3-inch display and a 3410 mAh battery. The published images point to an Infinity-O display, which is similar to that of the S10-series, as compared to the Infinity-U and Infinity-V screens that we’ve seen in other A-series devices. At the back of the Galaxy A60 is a vertical triple-camera setup with an LED flash. The fingerprint sensor is also visible, which means it will not have an in-display fingerprint sensor. 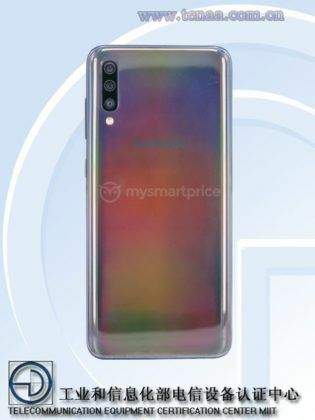 The Galaxy A70, or the Samsung Galaxy SM-A7050 as per TENAA’s listing, has a larger 6.7-inch display and a 4400mAh battery. It features an Infinity-U display with an in-display fingerprint sensor and also houses a triple rear camera setup. 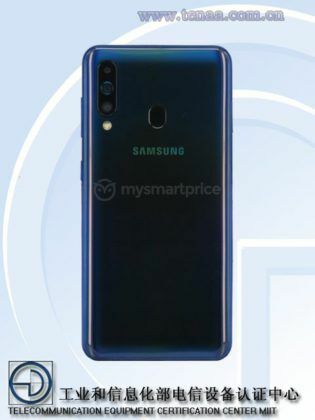 Both the Galaxy A60 and A70 appear to have a build similar to the other 2019 Galaxy A-series models. The key hardware specs of both phones are yet to be announced, but it’s expected that TENAA will update the listings in the following days. Huawei P30 and P30 Pro Debut with New Design, Improved Optics and More!